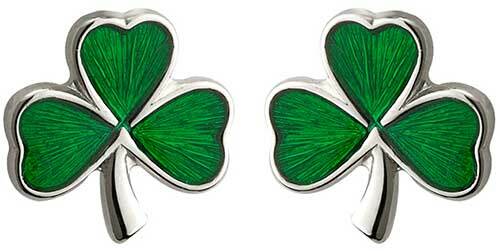 Shamrock earrings are a small sterling silver stud design that is enhanced with green enamel leaves. These sterling silver shamrock earrings feature leaves that are accented with green enamel. 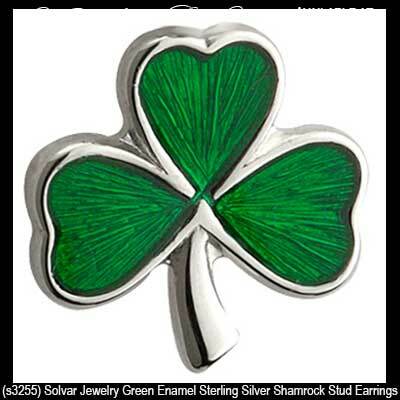 The small shamrock stud earrings are on posts with push on butterfly backs and measure 1/4" wide x 1/4” tall.